2,300 young LEADers celebrate their annual Valedictory event across 4 states in India. 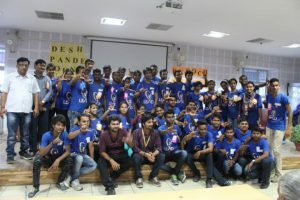 LEAD Valedictory is an annual event hosted by Deshpande Foundation’s LEAD program. Dedicated students are recognized and appreciated for their outstanding work with the initiatives, they implemented to improve the quality of life for local communities. 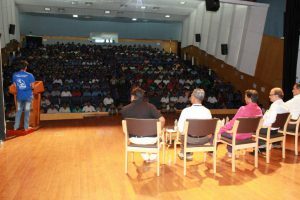 LEAD Valedictory hosts 6 ceremonies across 4 states; Karnataka, Nizamabad, Varanasi, Nalgonda. year over 2300 students participated in this event and over 70 unique projects were given awards for their exceptional outreach that impacted communities in significant ways. use of the unreliable buses. These young LEADer’s canvassed community residents, collected signatures and met with local departments heads to present their concern. Due to their persistence and well-thought out plan, their proposal was accepted and the authorities provided of additional bus services to local communities. Niranjan Karagi knew that water was a basic human right for all people. However, he was aware that some people were unable to afford to purchase water and, in some cases, access to clean drinking water was unavailable. As a result, local people often had to use unclean or contaminated water. Niranjan wanted to develop a plan and came up with a solution to help people have access to clean, drinkable water. His motivation was to prevent waterborne diseases due to the consumption of contaminated water. He, therefore, designed an efficient and cost-effective water purifier, solving the problem and facilitating the health of many communities. There have already been 5000 purifiers sold. Nirjan plans to continue scaling up, impacting more communities and securing clean drinking water to an increased number of local people. 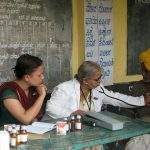 The LEAD Program of the Deshpande Foundation fosters an innovative and entrepreneurial mindset within college students by exposing them to social issues, encouraging them to volunteer in local communities, and igniting their abilities and aptitudes in coming up with creative solutions. LEAD equips students with the necessary guidance and financial support to enable them to execute projects that will benefit and improve the quality of life for people living in local communities. Through this supportive platform LEAD has reached over 28,000 students and implemented over 8,300 leadership projects. The mission of LEAD is to encourage students to carry out bold solutions in their communities while simultaneously building self-confidence, self-reliance and developing important leadership skills.